The therapeutic application of pulsed electromagnetic fields (PEMFs) can accelerate healing after bone fractures and also alleviate pain according to several studies. However, no objective criteria have been available to ensure appropriate magnetic field strength or type of electromagnetic field. Moreover, few studies so far have investigated the physical principles responsible for the impact of electromagnetic fields on the human body. Existing studies have shown that PEMFs influence cell activity, the autonomic nervous system and the blood flow. 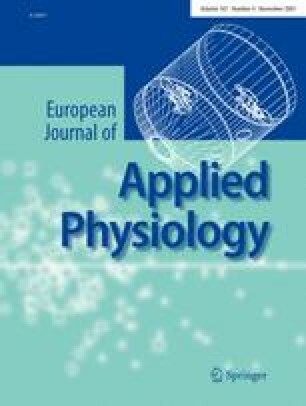 The aim of this study is to examine the instantaneous and short-term effects of a PEMF therapy and to measure the impact of different electromagnetic field strengths on a range of physiological parameters, especially the autonomic nervous systems, determined by heart rate variability (HRV) as well as their influence on subjects’ general feeling of well-being. The study comprised experimental, double-blind laboratory tests during which 32 healthy male adults (age: 38.4 ± 6.5 years) underwent four physical stress tests at standardised times followed by exposure to pulsed magnetic fields of varying intensity [HPM, High Performance magnetic field; Leotec; pulsed signal; mean intensity increase: zero (placebo), 0.005, 0.03 and 0.09 T/s]. Exposure to electromagnetic fields after standardised physical effort significantly affected the very low frequency power spectral components of HRV (VLF; an indicator for sympathetically controlled blood flow rhythms). Compared to placebo treatment, exposure to 0.005 T/s resulted in accelerated recovery after physical strain. Subjects with lower baseline VLF power recovered more quickly than subjects with higher VLF when exposed to higher magnetic field strengths. The application of electromagnetic fields had no effect on subjects’ general feeling of well-being. Once the magnetic field exposure was stopped, the described effects quickly subsided. PEMF exposure has a short-term dosage-dependent impact on healthy subjects. Exposure to PEMF for 20 min resulted in more rapid recovery of heart rate variability, especially in the very low frequency range after physical strain. The study also showed the moderating influence of the subjects’ constitutional VLF power on their response to PEMF treatment. These findings have since been replicated in a clinical study and should be taken into consideration when PEMF treatment is chosen.